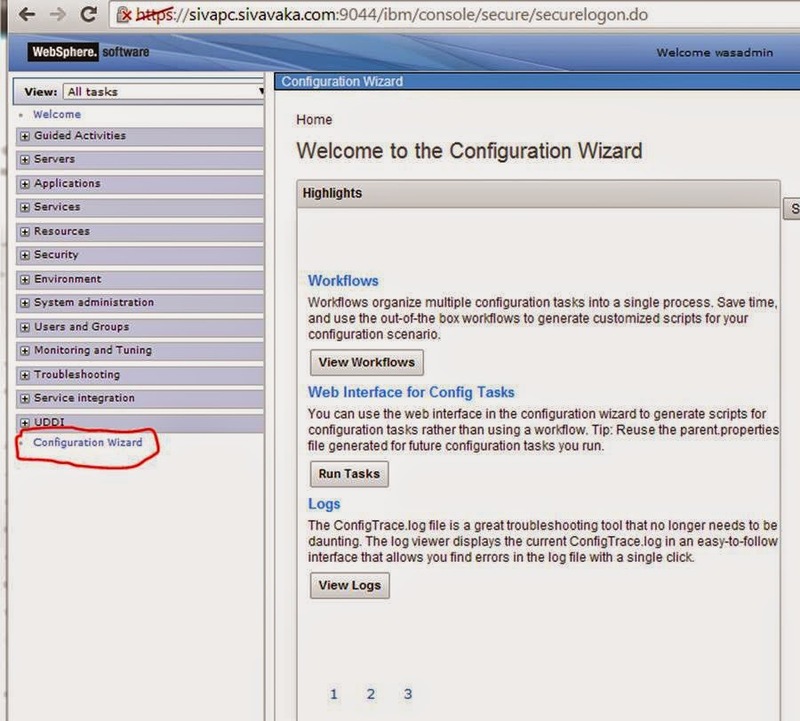 Recently came across one usecase where configuration wizard profile is very useful to configure multiple development workstations. 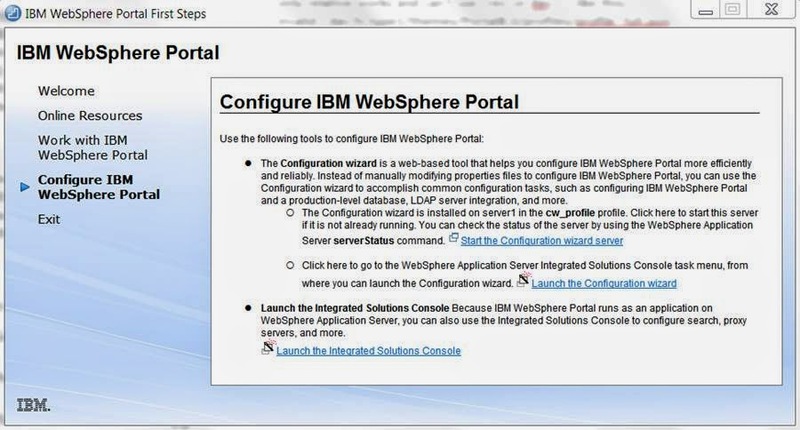 The Configuration wizard is installed on server1 in the cw_profile (WebSphere/AppServer/profiles/cw_profile) profile . 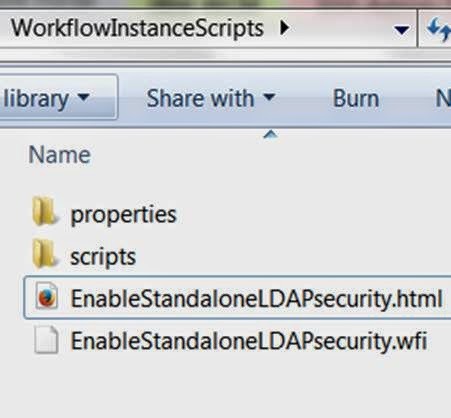 Following shows how to customize the "configuring the standalone LDAP security"
# IBM WebSphere Portal configuration helper file for script EnableLDAPSecurity. Click on Next ( If you want to save changes to local directly, you can save in above step). The instruction file provides you with tailored steps for your configuration and your target operating system. 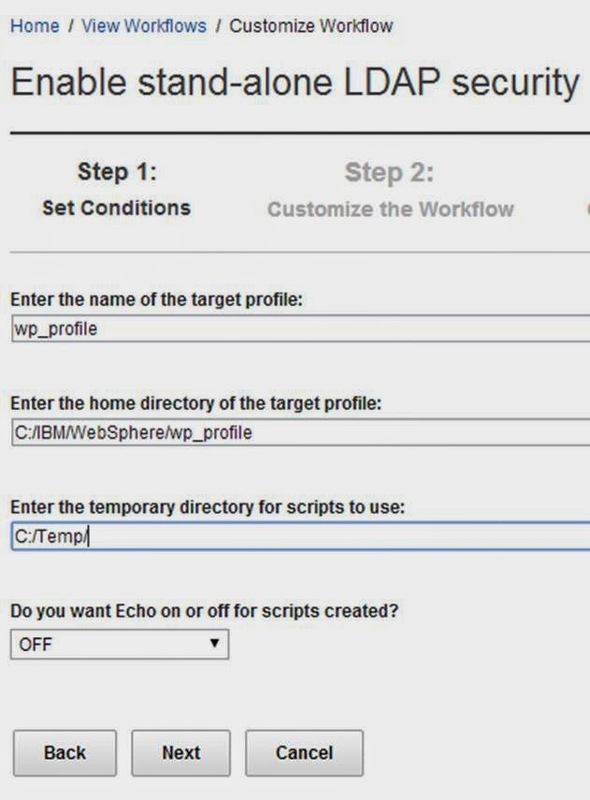 Based on the information provided when customizing your workflow, an instruction file is created to guide you in running scripts in combination with other manual configuration steps for your specific configuration goal. 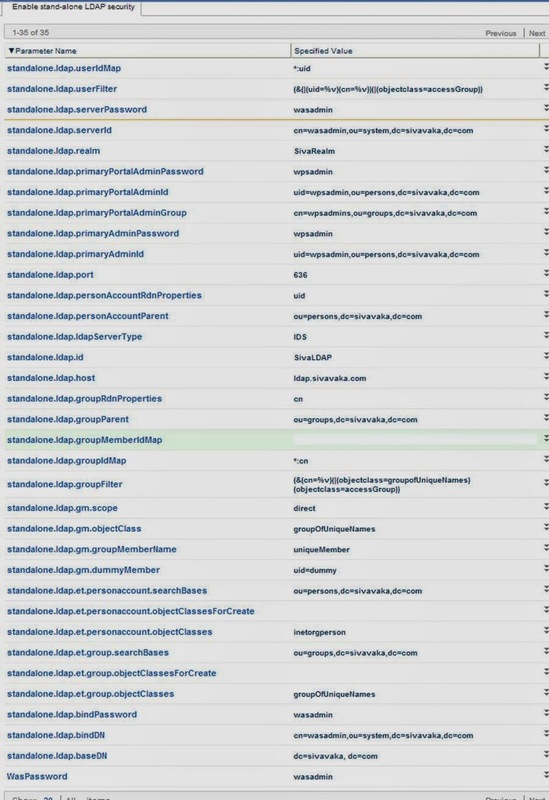 Depending on the conditions of your environment, the script files use a .sh or .bat file extension or are simple text files. 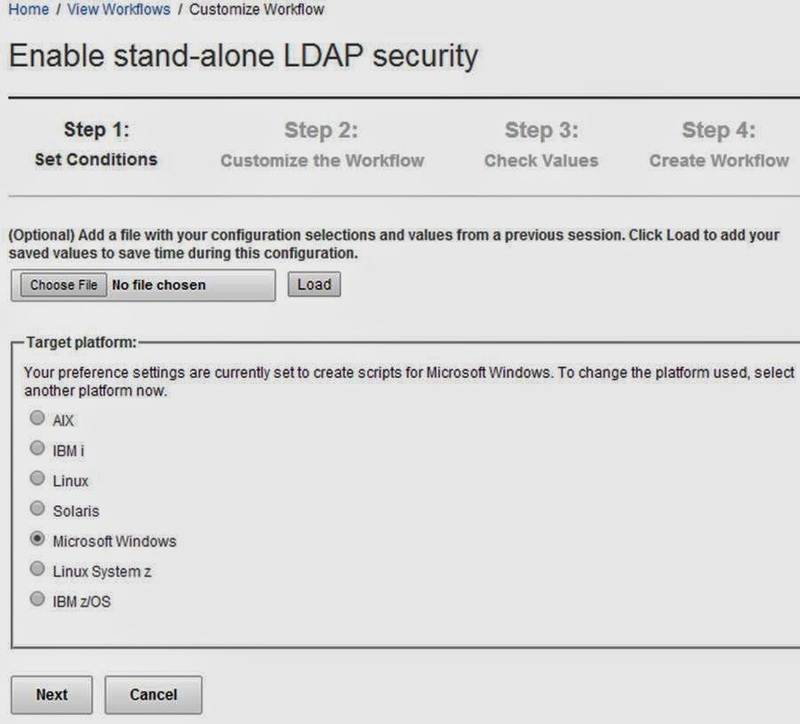 Use the scripts, along with other manual configuration steps described by your instruction file, to perform your configuration. 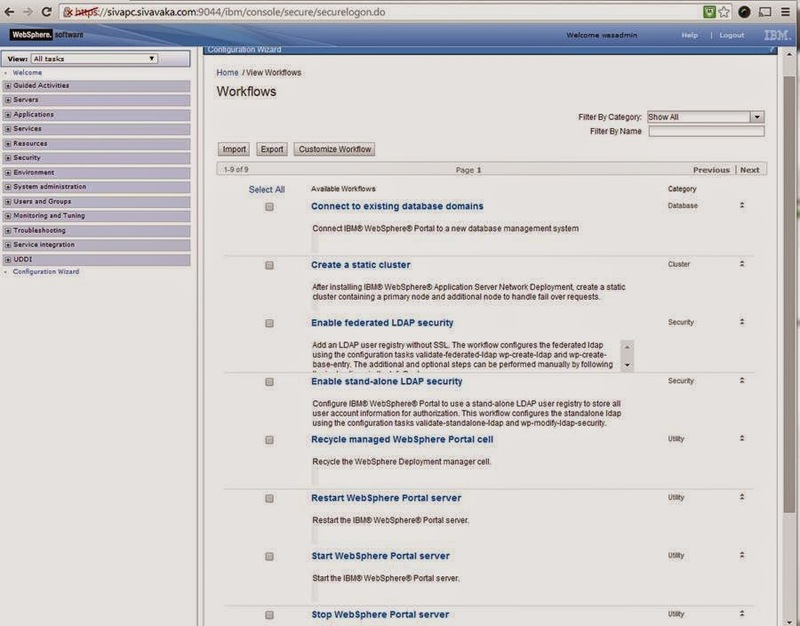 For example, your workflow may provide you with a script to run a ConfigEngine task rather than you running the task. Configuration helper files with updated property values entered for your configuration are created when customizing your workflow. You can use these helper files to save time later. File used for troubleshooting your workflow. Instructions HTML looks like below.